On June 29, 2011, Ohioans delivered nearly 1.3 million signatures to put Issue 2 on the ballot. They set a new state record, and engineers had to be called in to make sure the building could support the weight. 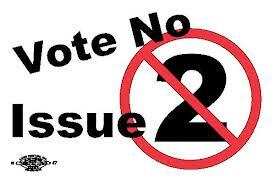 Issue 2 put Governor Kasich’s Senate Bill 5 to a vote, and ultimately defeated the anti-union legislation.